In my last post, we found out why a unique value proposition is so important. You want to be the best you can be, and communicate your value expertly. While your UVP also expresses your passion, remember that the bottom line is that it’s more about your customer (target market and what they want). Visualize one ideal customer and what they need. 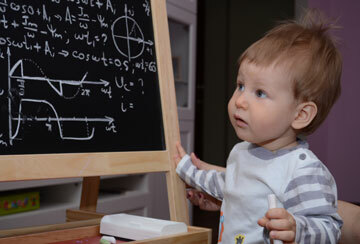 Before I confuse you, let’s keep it simple by using a formula to help guide you. After you understand the basic formula, you will move onto personalizing it and really zero in on what makes you better than your hundreds of competitors. This is where you become an expert. Let’s start with a personal career-oriented UVP statement, such as mine. I‘m a content strategist who develops engaging informative content for progressive businesses. I want to produce the highest value possible for up and coming, rising stars, who are focused on fast growth because they have an urgency about profit, growth, and market leadership. My readers are mid to senior level execs who want to know I am really “into it”, and that I possess the right attitude, dedication, along with unique skills in content development/content strategy and other digital marketing skills that are a cut above the rest. You don’t say you’re the best, you allude to it with your UVP, then back it up with your content strategy. You’ll soon discover that your content is the voice of your unique value proposition. For the prospect, seeing and reading is believing. 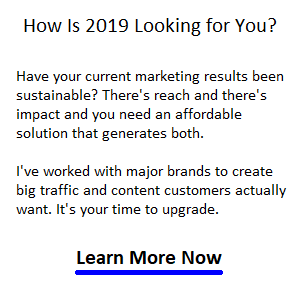 Current UVP: I power up digital marketing results by developing original, personalized, compelling, relevant, and traffic-generating content for progressive, ambitious businesses. Note about personality and likability: definitely project fun, contentment, sociability, harmony, and charisma into your content. Might be wiser to carry that via your Twitter or Instagram page (business or personal). Employers, partners, customers may not be looking for that first off, but it’s very important to your ability to convince. Clarity is everything. It‘s tough to pare it down to an elevator sales pitch, but you must. This difficult process forces you get laser-focused and it’s that laser engraved image that moves your target’s mind. Sometimes you can’t express all you can offer in your UVP. So, you want communicate your value proposition and method through your content. It‘s all about getting them immersed in you, your product, your brand, or your company. Get your targeted visitor to your blog, Twitter page, Youtube page, website or published articles so they can see you in action. That’s much more powerful than a statement or marketing communication. UVP: I bring positive, progressive ideas, optimism, and determination to a difficult world which others might share to help create a better life for us all. He doesn’t push his UVP. It’s so good, his followers do. The essence of success is to create so much value, that others promote you. He’s an excellent role model for that, even if you don’t like seeing him with naked girls on his back. And remember the power of visuals. Let’s look at the value proposition of a real estate agent. These professionals help people buy and sell real estate. That‘s not much of a UVP. Think closely about what home buyers really want such as trust, likability, experience, local marketing knowledge, professionalism, helpfulness, good communication, and an ability to find some great homes where they want to live. The Agents UVP: North Vancouver homeowner’s dreams of selling high and moving on happily to a new life, come true with my ability to attract, entertain, inform, and engage home buyers who love North Vancouver. So now, the agent’s digital content will revolve around how vital North Vancouver lifestyles are and real stories of how he or she made buyers happy. Some agent’s drill down to specific demographics, lifestyles and neighbourhoods. You drill down as far as required to where you’re the big kahuna of your market. That version of the UVP covers both his targets: buyers and sellers of homes. Your content has to be consistent with your UVP statement. Otherwise your audience will not get the clearest message about how valuable you are. If your content is deep, persuasive, and your UVP is clear, you’ll get your desired action whatever that is. If you have multiple markets, multiple products, and brands, you can build separate sub-UVPs for them too. More topics for us to keep exploring! Have fun creating your UVP and there’s plenty of ways of writing it creatively. As long as the message is clear, we can write anyway we want. If you’re having trouble creating yours, direct message me on Twitter. I‘d be happy to help.